Queen Size Bed: 68"W x 87"D x 62.25"H - 228lbs. King Size Bed: 83.50"W x 87"D x 62.38"H - 266lbs. Cal. King Size Bed: 83.50"W x 91"D x 62.38"H - 273lbs. Night Stand: 25"W x 18"D x 29"H - 49.5lbs. Dresser: 65"W x 19"D x 39"H - 211lbs. Two Tone Dresser: 65" W x 19" D x 39" H - 218.25lbs. Mirror: 43"W x 3"D x 38"H - 53lbs. Chest: 40"W x 19"D x 58"H - 182lbs. Five Drawer Chest: 40"W x 19"D x 58"H - 182.25lbs. 1StopBedroom delivers again! If only every company was this reliable and always delivered upon that word. I really like this Bolanburg Bedroom Set. I'm always happy with my purchases from 1StopBedroom. I do not like to shop. The Bolanburg Bedroom Set I bought from 1StopBedroom is something I really love. It is strong and sturdy. My mother-in-law could afford practically any furniture she wants, but her savvy choice was the Bolanburg Bedroom Set from Ashley's Bolanburg at 1StopBedroom. Even when money's no object, this furniture is a solid pick for people who enjoy great aesthetics. I love a good deal and got this for what I consider to be a fantastic price. The Bedroom Set from the Bolanburg is worth every cent. Very happy with my item and with my experience. What a work of art! The Ashley Bolanburg Bedroom Set that I received from 1StopBedroom is beautiful! I was hesitant ordering a Bedroom Set online without seeing it first in a store, but I couldn't be more pleased. The delivery men were very efficient in getting the Bolanburg Bedroom Set up my 2nd floor stairs without a problem. Thank you 1StopBedroom for having such a beautiful collection of Ashley Bedroom Set. Our Ashley Bolanburg Bedroom Set arrived today and I am very happy with the design and craftsmanship of the Bedroom Set. The shopping experience was quick and easy and the delivery was on time. My in-laws surprised us with the Ashley I had been talking about as a wedding gift. We're so excited to have his and hers Bolanburg Bedroom Set! We love the look and very lovely sentiment behind their gift. 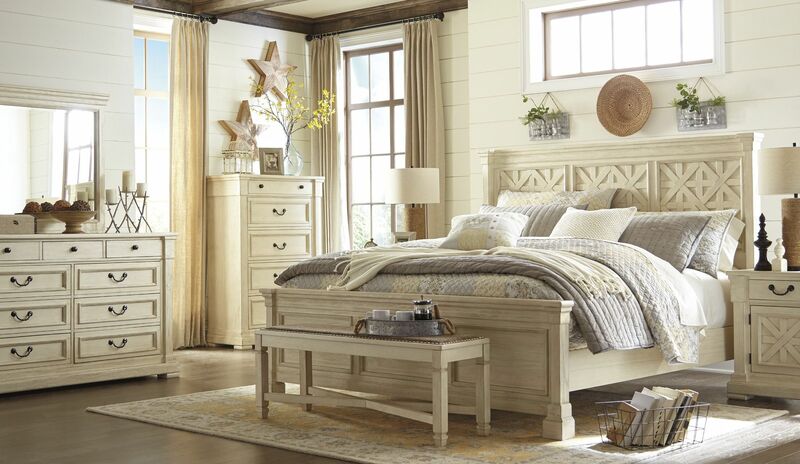 The Bolanburg Bedroom Set has clean lines, sturdy construction and superior finish. I was so pleased to see how nicely it complemented my existing dcor. It's my new favorite in that room. Yay, 1StopBedroom, for providing a handsome set that meshes with other furniture. Now I'm drooling over the other Bolanburg pieces. Won't be long before I order a matching piece. I was looking to buy a new Bedroom Set today. I went online since I did not like to go shopping at a furniture place because it takes to long. 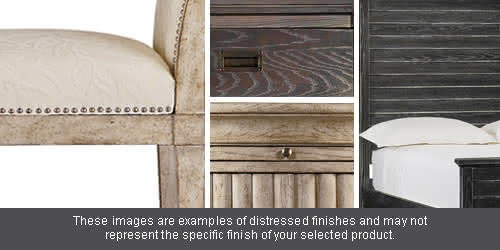 I looked at all the items that they had and I settled with the Ashley Bolanburg Bedroom Set. This is a beautiful Bedroom Set. It is a perfect size. The checkout was really fast,easy. 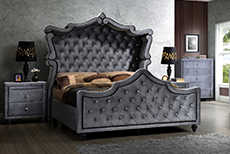 This is Bolanburg Bedroom Set is fantastic! I cant believe I had any doubts about ordering from 1StopBedroom.